When you are uploading Windows 7 64bit system using some network interface card ”Atheros”. The image uploading will easily loss or interrupted, you can easily create image by combining other network card drivers with ”Atheros” driver by using ”CCBoot PNP”. The solution is as follows. Boot Client PC with HDD that is installed with ”Atheros” NIC and then install Windows Operating System, drivers and CCBoot client. Open NIC properties of your “Atheros NIC”, then Go to ”Advanced” properties and Turn off or Disable “Flow Control” and “QOS”. 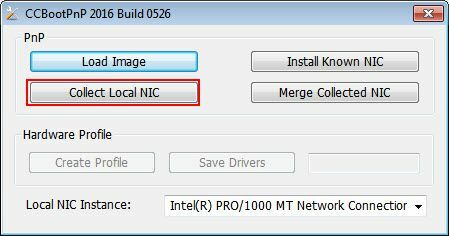 Now, Run CCBoot PNP.exe in this PC, click “Collect local NIC” button and then a “OK” will pop up, press “OK” button and then you will find the folder named “Drivers” in the CCBoot client directory, Insert USB flash drive in this PC and then copy and paste this folder “Drivers” folder on to your USB drive. Diskless boot this PC102 with “Realtek” NIC, insert your USB flash drive in this PC that you have use to collect the “Atheros” NIC driver, Copy the folder name “Drivers” and paste it inside the CCBoot client installation directory “C:\CCBootClient” and then run “CCBootPNP.exe”. 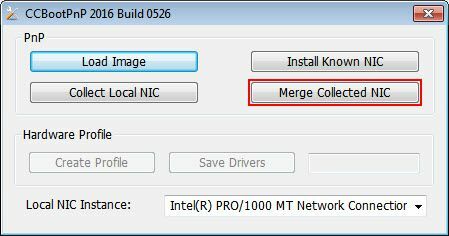 Press “Merge Collected NIC” in CCBoot PNP then press “OK” after merging of NIC driver, shutdown this PC (Figure 2). Now Diskless boot the client PC that is using “Atheros NIC” and see if it boots diskless.